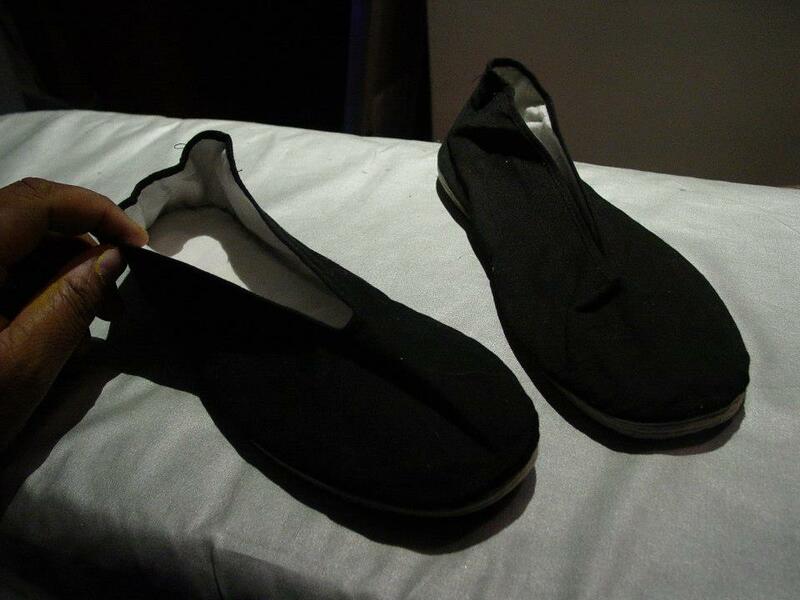 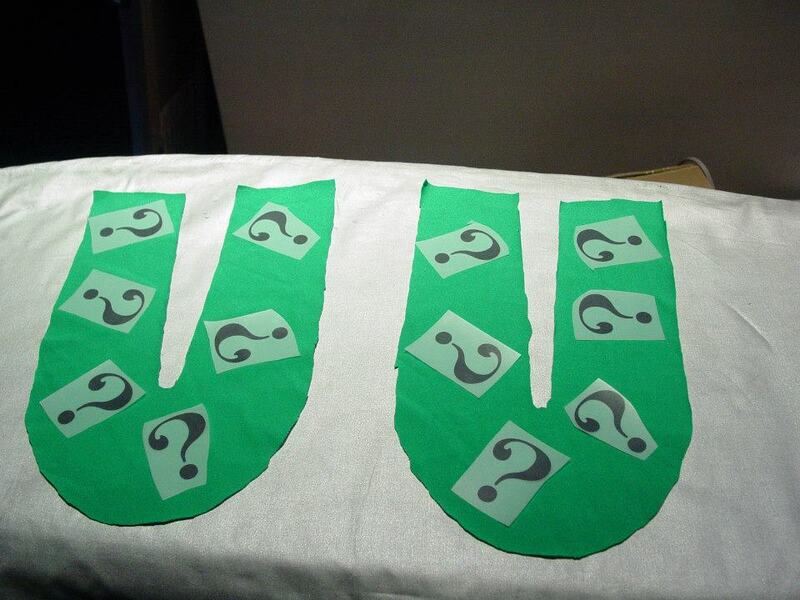 The Riddler's shoes are fabricated from the basis of a simple pair of canvas Kung Fu slippers. 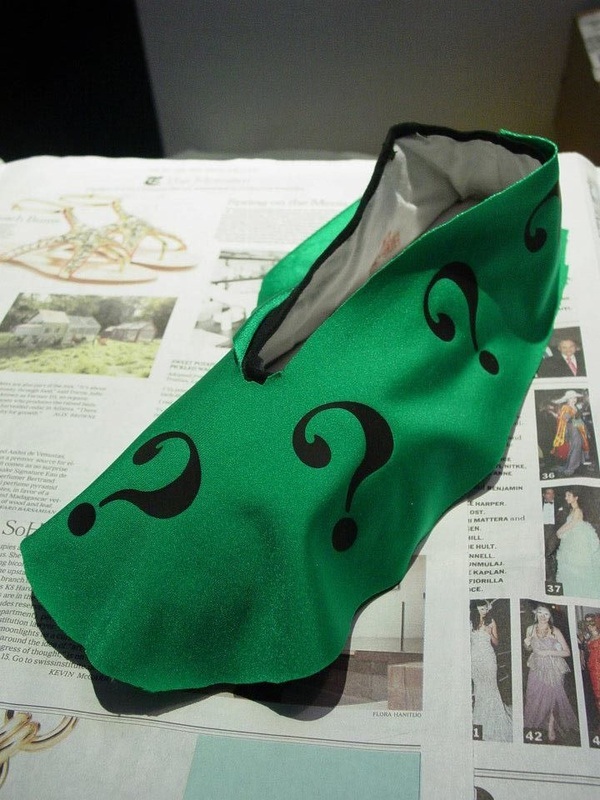 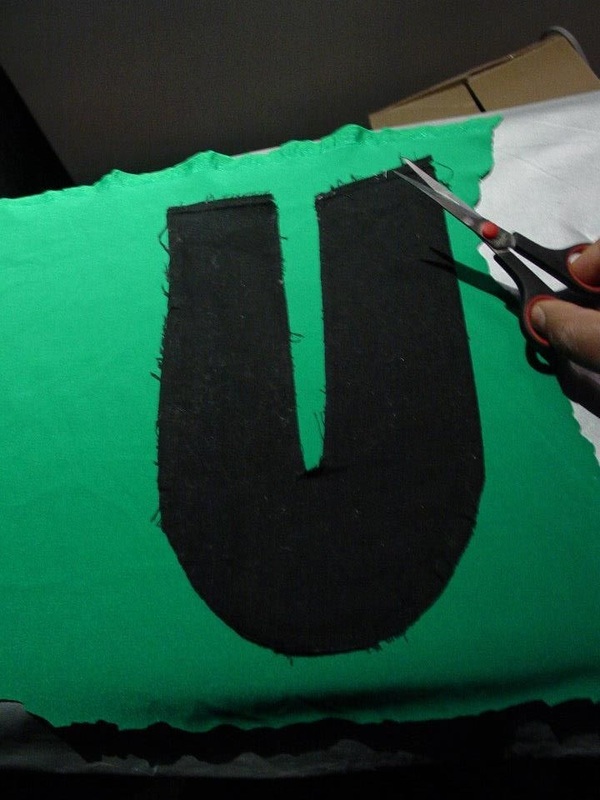 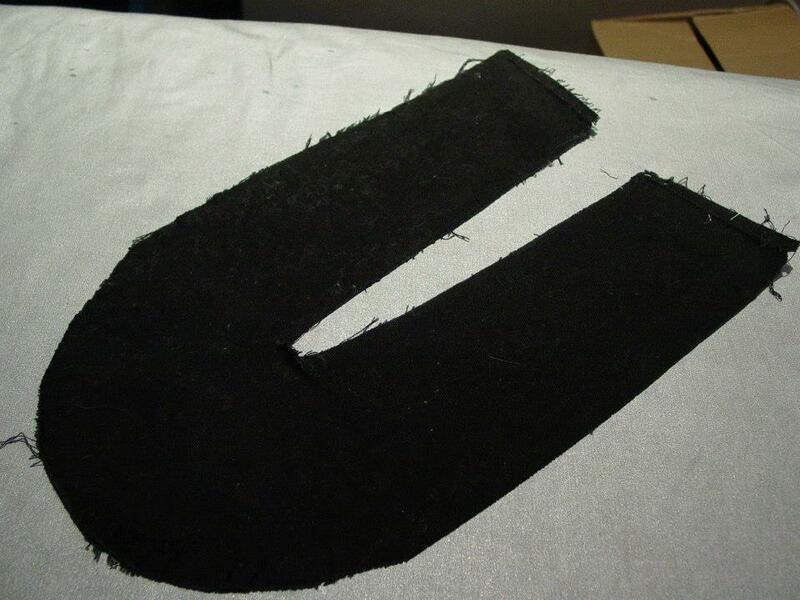 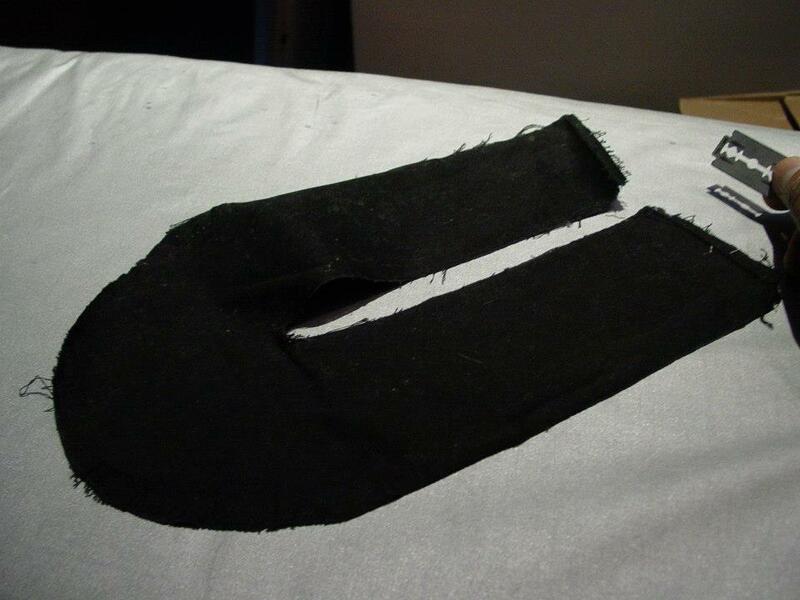 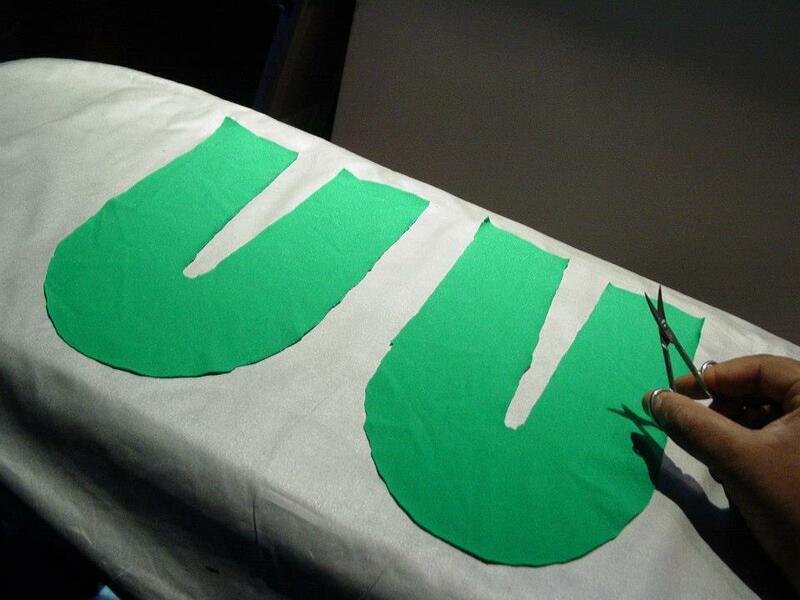 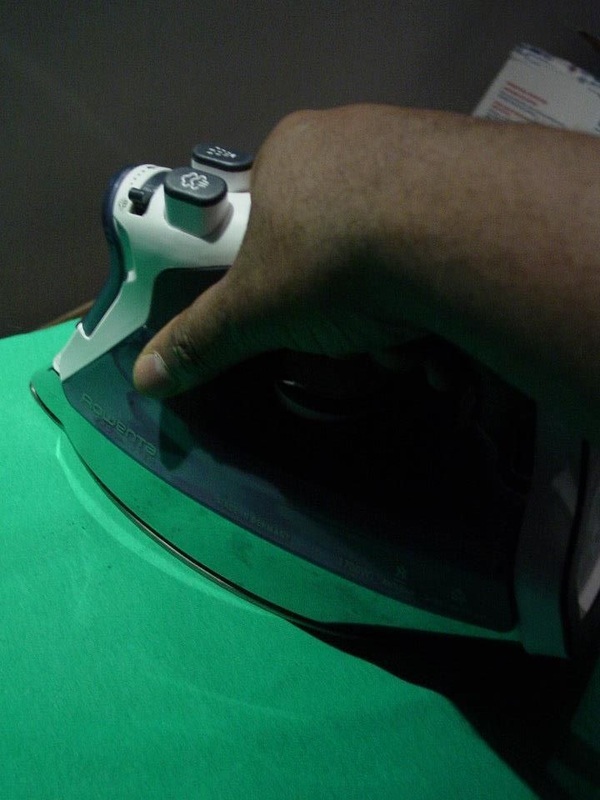 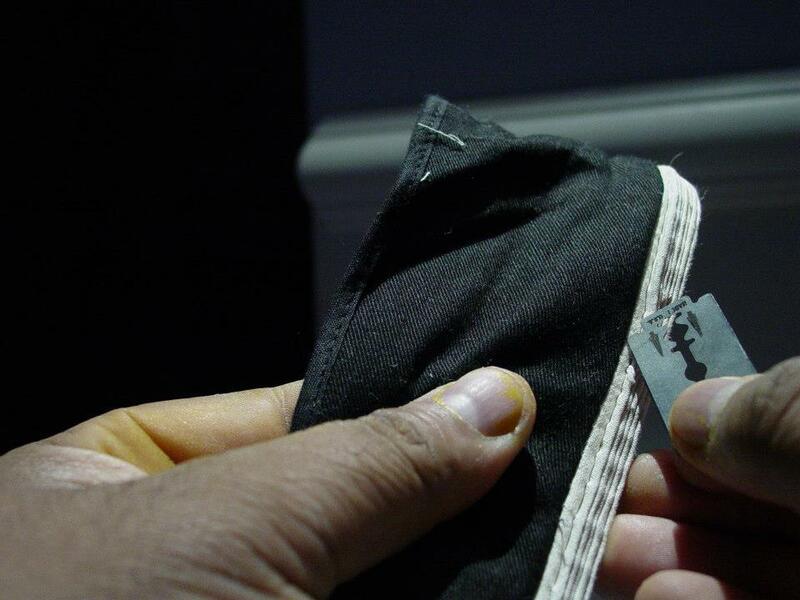 Costume Designer Roberto Williams carefully removed the canvas top from one spare kung fu slipper to use as a pattern for fabricating permanent shoe veneers in the same green lycra spandex as The Riddler's uniform. 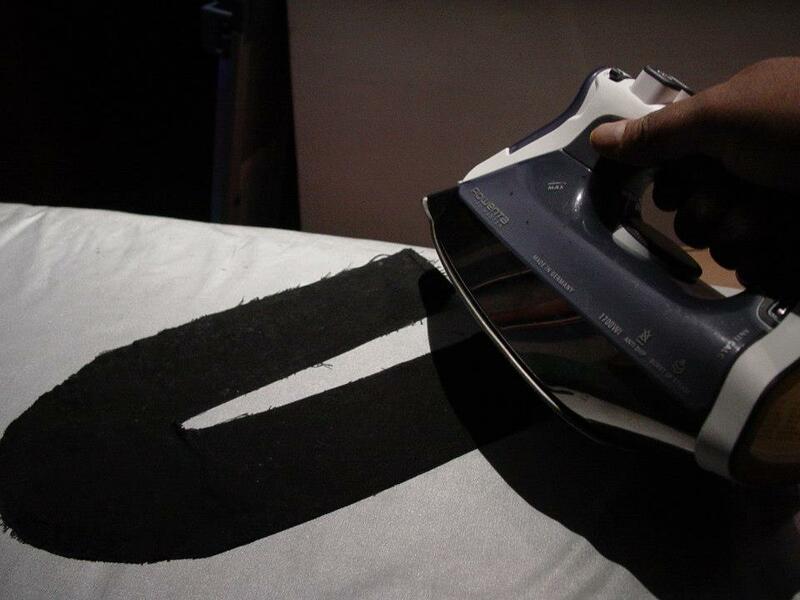 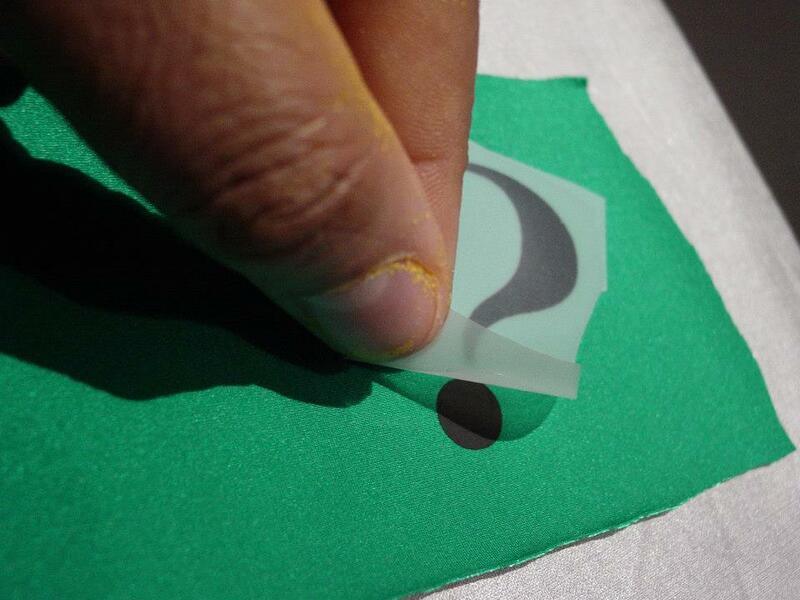 Just as with The Riddler's costume, the shoe veneers had iron-on question mark transfers applied. 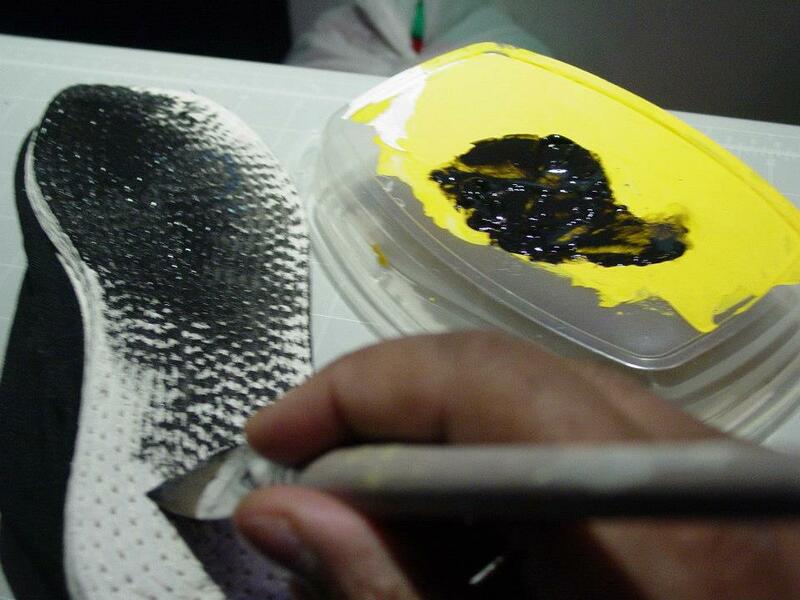 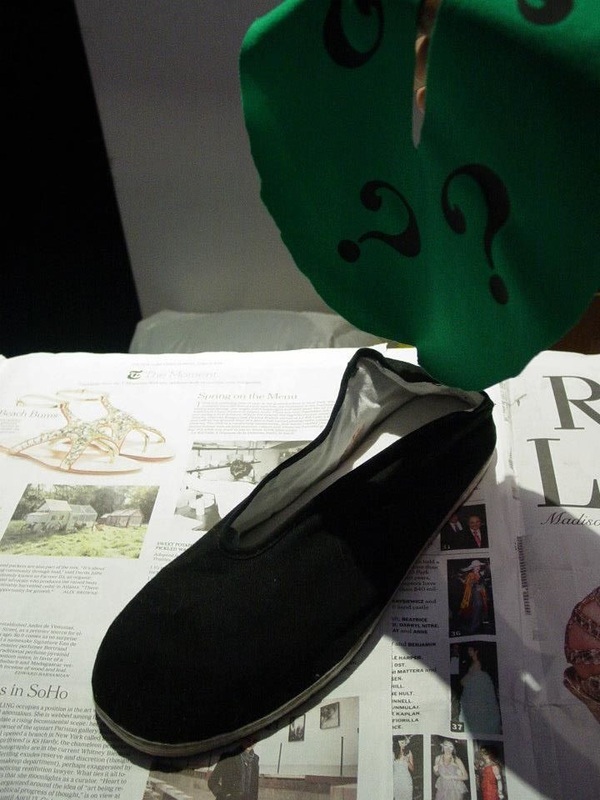 Costume Designer Roberto Williams hand painted the white canvas soles of the Riddler's shoes in black in order to avoid the original slipper's inherent "tennis shoe look" on stage.